Attorney Jamie Schneier receives AV® rating from Martindale-Hubbell®. Attorney Jamie Schneier has earned Martindale-Hubbell’s highest rating, AV Preeminent®, for legal ethics and ability. The rating is based on the recommendations of peers and serves as a testament that judges and fellow attorneys consider Mr. Schneier at the highest level of professional excellence. The AV rating, is awarded to less than five percent of all attorneys across the United States, and is the highest rating offered by the Martindale-Hubbell Law Directory. 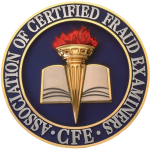 The Association of Certified Fraud Examiners (ACFE), the world’s largest anti-fraud organization and leading provider of anti-fraud training and education, has awarded Kimberly A. Hrenko, of Cleveland, Ohio, the globally preferred Certified Fraud Examiner (CFE) credential. In order to become a CFE, Kimberly Hrenko has met a stringent set of criteria and passed a rigorous exam administered by the ACFE. She has successfully met the ACFE’s character, experience and education requirements for the CFE credential, and has demonstrated knowledge in four critical areas: Fraudulent Financial Transactions, Fraud Prevention and Deterrence, Legal Elements of Fraud and Fraud Investigation. Petronzio Schneier Co., LPA is pleased to add Deborah Z. Hoffman as an of counsel attorney to the firms growing Family Law and Estate Planning practice group. Deborah joins current Family Law and Estate Planning attorneys Anna Petronzio and Jill Chodkowski.